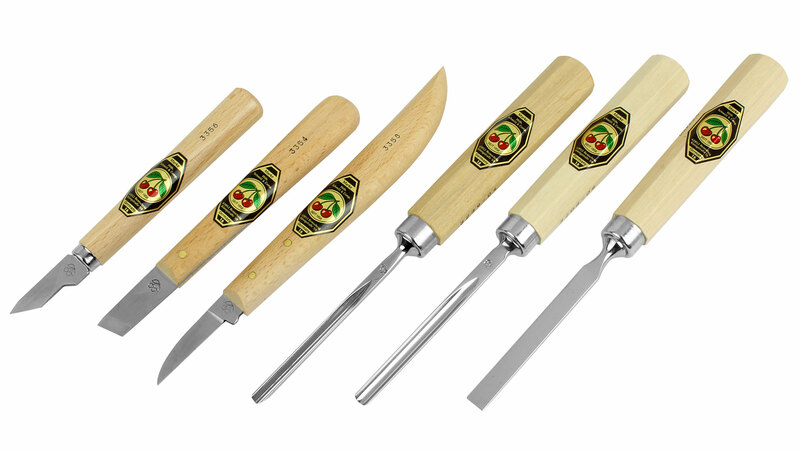 Wood carving tool sets spare the beginning carver the problem of having to choose individual tools. 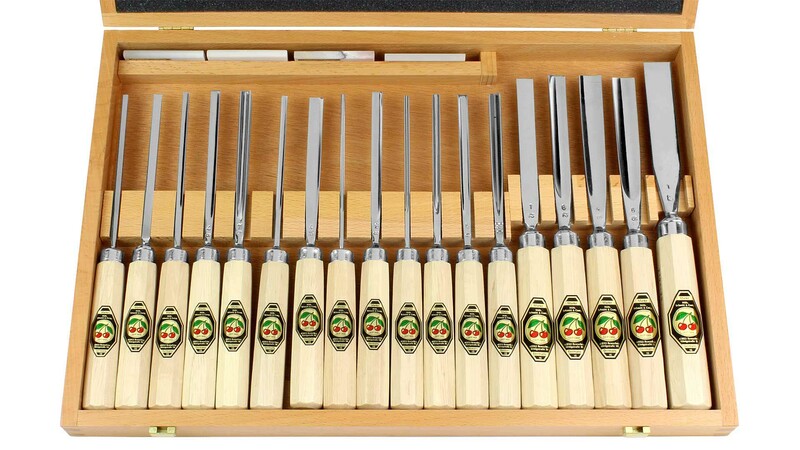 We offer tool sets for every budget and level of skill. 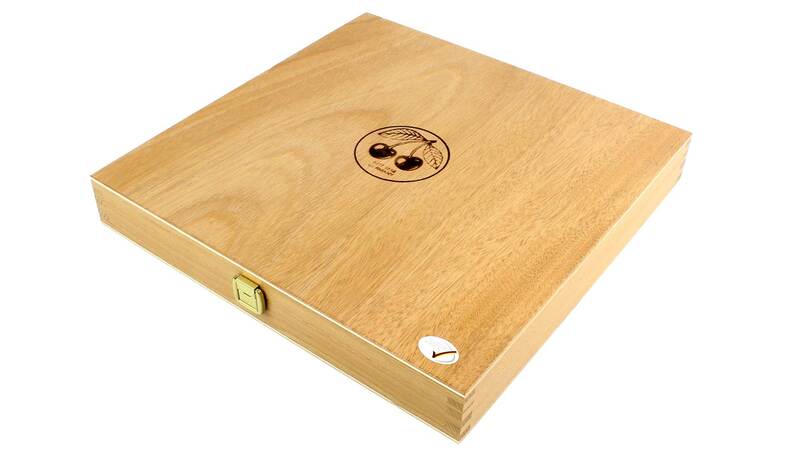 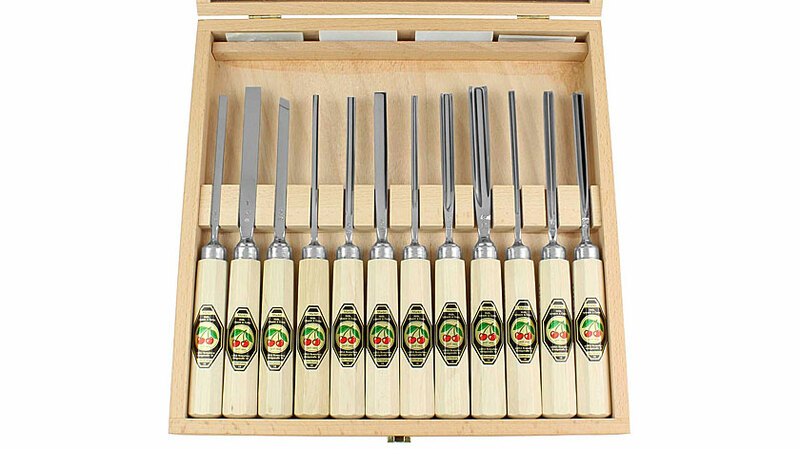 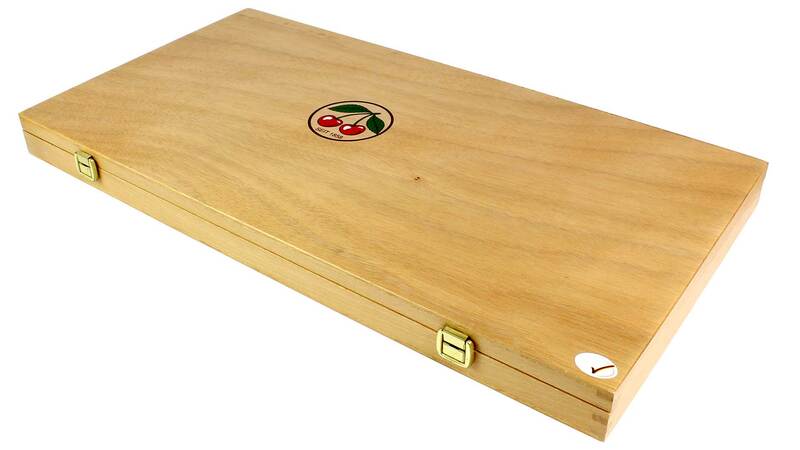 Most sets are packaged in an attractive wooden case, and would make a wonderful gift. 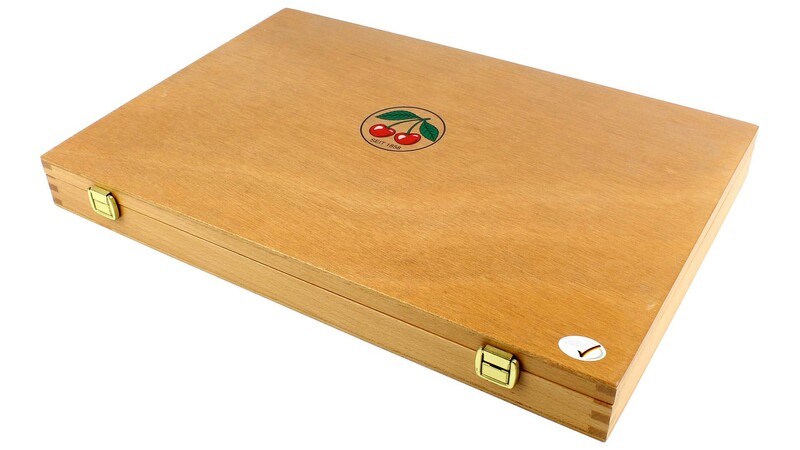 The Two Cherries sets include either four slipstones (Series 31 gouges) or with a universal stone (sets of Series 32 small size gouges). 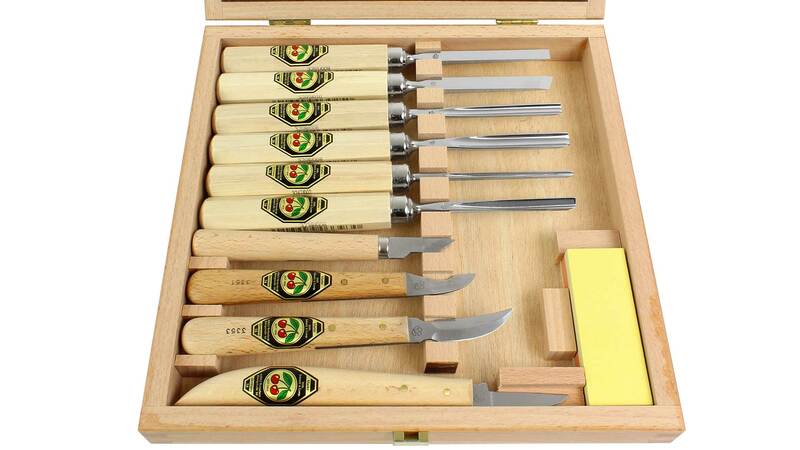 Chip carving knife sets and sets in leather tool roll come without whetstones. 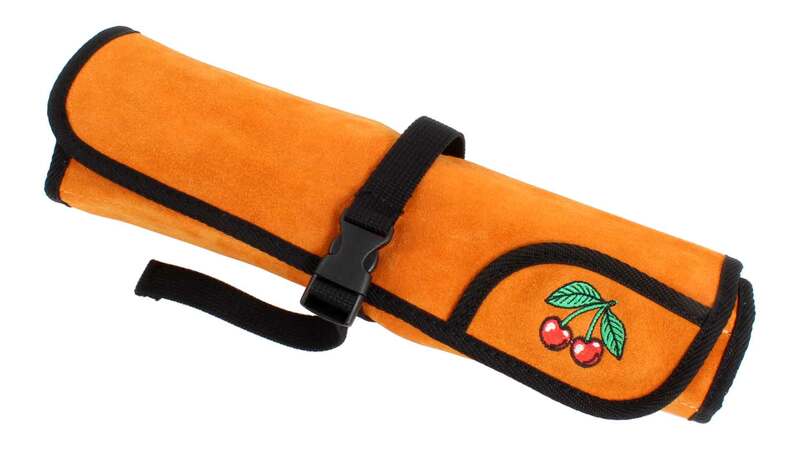 Please check the item description for more information. 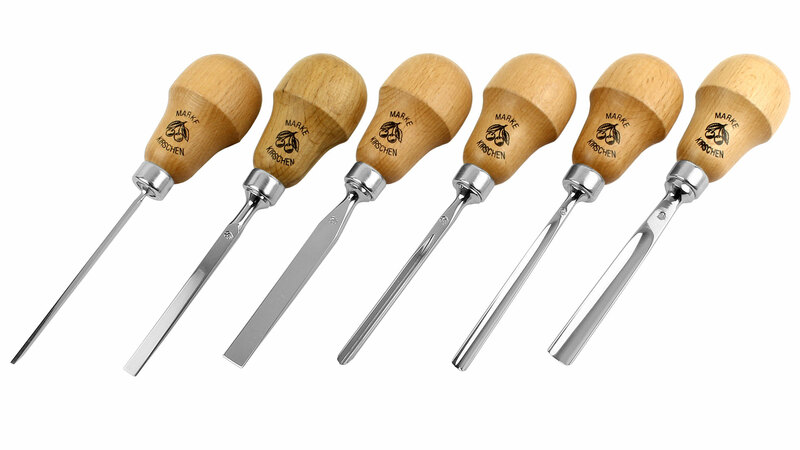 We recommend to use our Japanese waterstones for woodcarving tools. 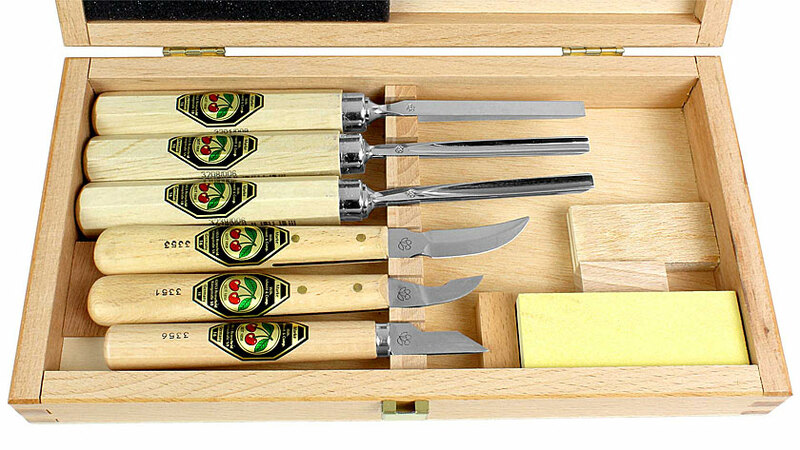 The palm style handles allow comfortable carving! 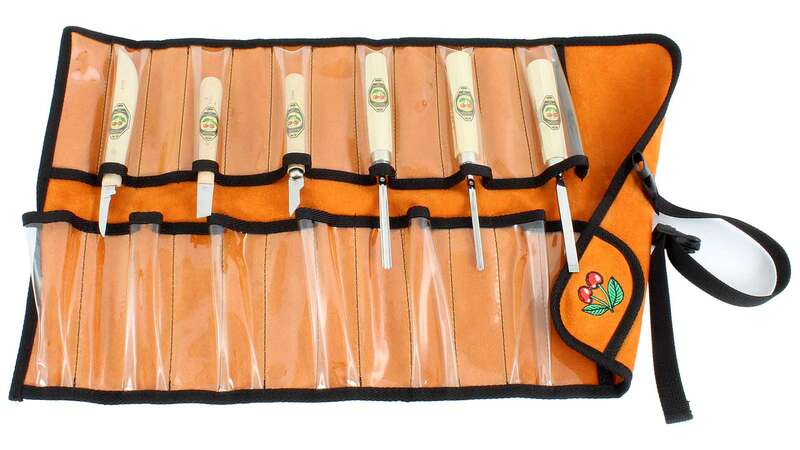 This set consits of 3 gouges and 3 carving knives, packed in leather tool roll with 12 transparent sturdy plastic tool bags. It offers enough space for 6 additional tools. 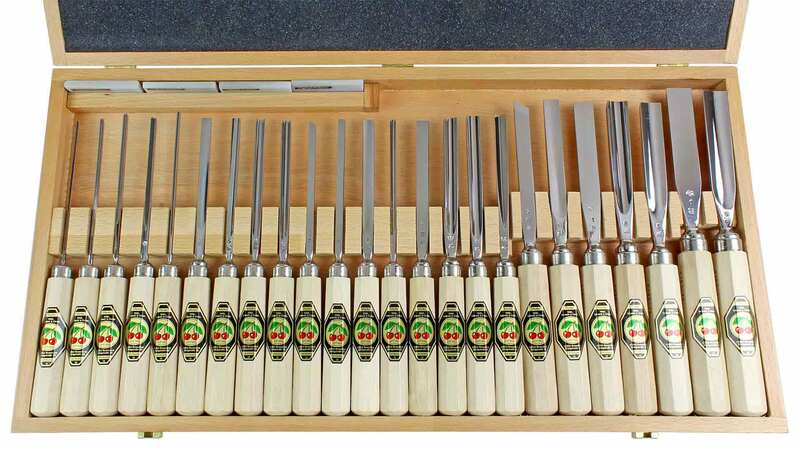 The ideal set for the beginner, who has not yet targeted special projects. 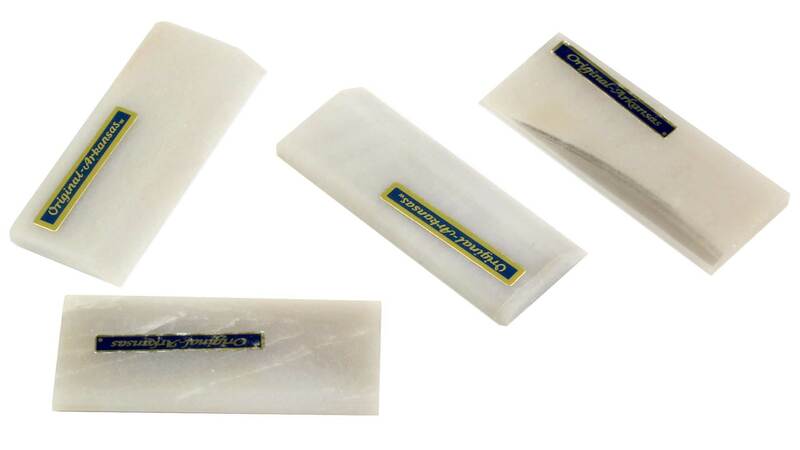 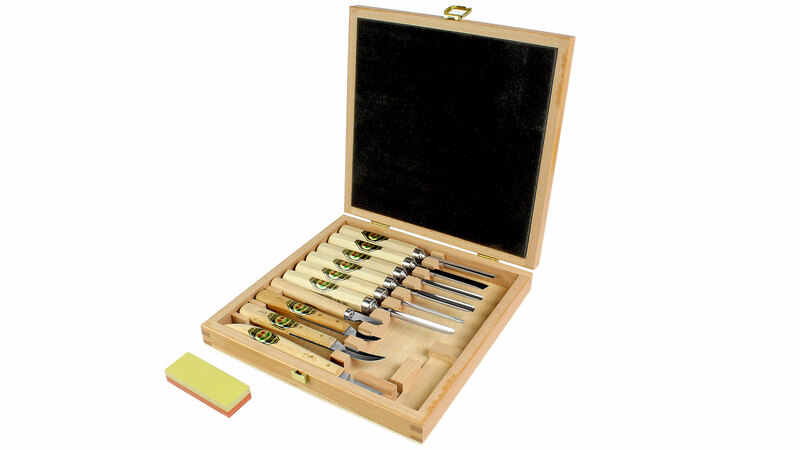 This set of carving tools consists of 3 gouges small size and 3 carving knives and 1 small combination stone for sharpening and honing, well packed in an attractive wooden box. 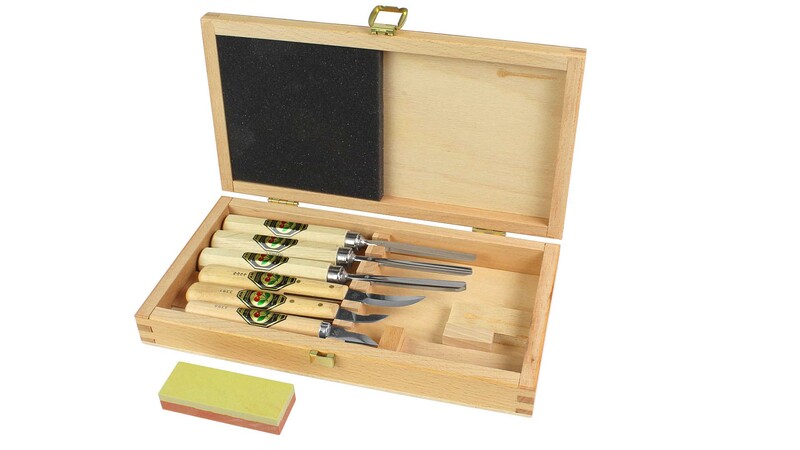 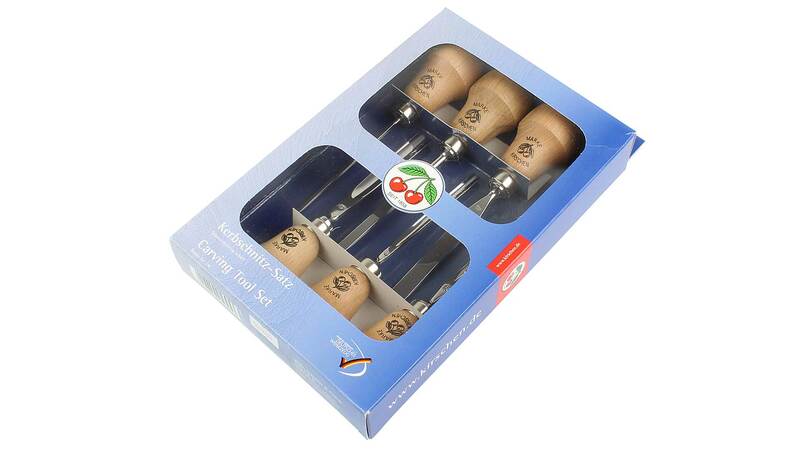 This set of carving tools consists of 6 gouges small size gouges, 4 carving knives, and 1 small combination stone for sharpening and honing, well packed in an attractive wooden box.